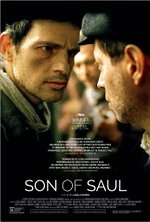 I watch hundreds of hours of cinema each year in order to find films like Son of Saul. Simply put, it’s remarkable; maybe even the best film I’ll see all year. It’s an unrelenting look at the holocaust from a its most disturbing perspective: exposing us to the inner machinations of a Nazi death camp. Truly disturbing and fascinating (in its depiction of human capacity for brutality) in equal measure. I’m still processing the effect this film has had on me. The film follows Saul Ausländer (Géza Röhrig), who is a Sonderkommando - an Hungarian Jew forced to work within the gas chambers at a death camp. His duties entail herding unsuspecting victims into processing rooms, where they strip naked on the promise of hot food and a ‘shower’. From there they are led to the gas chambers and Saul is forced to witness the fate of the victims time and time again as they are massacred with ruthless efficiency. 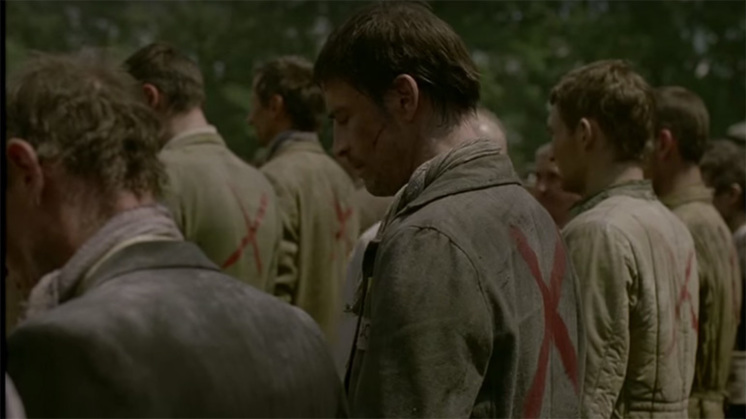 All this changes when Saul identifies a body of an individual with whom he had a significant relationship with. Thus begins the primary narrative of the film, which I won’t spoil here. Director László Nemes employs a unique perspective with the camera, in which he maintains a close-up on Saul for almost the entirety of the film. Outside a few establishing shots here and there and brief bursts of action, the camera is locked upon Saul’s face and the rest becomes periphery. While the style takes a little while to adjust to, it gives the audience time to speculate Saul’s mindset as he goes about his duties without engaging in gratuitous photography of the victims. Purely focusing on this individual’s psychological response gives an original human insight into a story that unfortunately we all know too well. The film’s biggest achievement is that after a while I forgot what the purpose of the camp was. We see countless people doing menial tasks, from scrubbing rooms, stoking fires to sorting clothing and luggage. People going about their jobs as if they worked in a dingy hotel in the back of nowhere. The victims are constantly dehumanised by being referred to as “the pieces”, giving the camp a feel as this was an abattoir or similar. I feel that’s a clever commentary underpinning the film; for all of the truly disgusting acts which were committed by the Nazi regime, it was essentially this giant machine made up of people doing mundane acts in the name of compliance with authority instructions. The repetition and the monotony of those acts made it far easier for people to become complicit in something as morally defunct as the holocaust. I cautiously recommend this film, knowing that it may be too much for some people to handle. It’s a confronting, haunting and challenging piece of cinema, but ultimately a phenomenally rewarding experience. If you’ve seen the film and agree or disagree with my thoughts feel free to drop a comment below or come over and play with us at our Facebook page. The film is currently screening at Dendy Newtown, for session info click here. If the monstrously terrible scale of the Holocaust makes it impossible to truly understand...now the Hungarian feature Son of Saul offers a gripping new perspective.